This is the first lesson in a Conflict Resolution Unit called DR. GIB. Each letter stands for a topic that will be discussed over the next five months. The "B" in DR. GIB stands for BULLYING (we are going backwards). I began by showing a power point that described the 4 types of conflict: DISAGREEMENT, RUDE, MEAN, and BULLYING. I shared that sometimes students feel they are being bullied when in fact it may be a conflict that can be worked out. When someone disagrees with you or is rude, we may not like it, but it is NOT Bullying. Someone can be mean, but the action may not be aggressive and repeated and there may not be an imbalance or power so it is NOT Bullying. The students then read several scenarios and each table group decided if it was a disagreement, rude moment, being mean, or bullying. We also discussed that if they are being bullied and they know it is bullying, they should tell an adult. If they would still like to be friends with the person, it may be a conflict that can be worked out with the school counselor. Students were asked what "Impulse Control" means and to give examples of Impulse Control Problems. The examples were then discussed in terms of a thermometer. As a thermometer goes up, it gets hotter. When emotions escalate (go up), students can lose control. It is important to calm down first before trying to solve a problem. The A, B, C Problem Solving Model was discussed. A- Ask what the problem is, B- Brainstorm solutions, and C- Choose one. Nine possible solutions from the Mendez Foundation were discussed for how to solve a problem. Students then pulled various items out of a tool box and matched them with the solution. ​After discussing the definition of GOSSIPING, the students played a version of "Telephone" to understand how Gossiping works. In this version, four students leave the classroom and a sentence is shared with another student in front of the classroom. That student then shares what he/she heard with one of the other students from the hallway. This continues until all the students from the hallway had a turn. The original version is then shared with the students to compare what happened to the sentence with just five students. The book, "Mr. Peabody's Apples" by Madonna is read to show what happens when you gossip. And the lesson ended by having a student squirt some toothpaste out and then try and put it back in again to show how hard it it is to take back what you say. ​In this lesson, students learned that Peer Pressure can be both Good and Bad. If a friend wants you to steal from the school store, that is bad. But if a friend encourages you to try out for the soccer team, that is good peer pressure. With bad peer pressure it is important that students learn to say, 'NO!" when they are being talked into something that they know is wrong. The book "Peer Pressure Gauge" by Julia Cook was read to talk about the kinds of peer pressure. ​Students learned the importance of not judging a book by its cover. Dr. Martin Luther King said, "I have a dream that the boys and girls wouldn't be judged on the color of their skin, but on the content of their character." To show this, a student was invited to pick one of three gift bags at the front of the room. One was beautifully wrapped, another was wrapped nicely, and the third was very plain. Often, students will pick the fancier or biggest present, however, what they would find is plastic silverware from the cafeteria. The plain gift bag, however, would have a bag of candy in it. A game was also played to get to know the students in the class better. Often people will make judgments about someone without truly getting to know them. 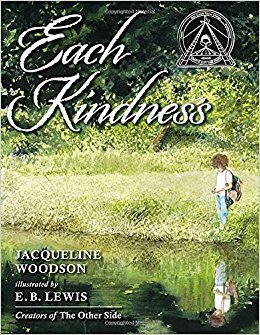 The book, "Each Kindness" by Jacqueline Woodson was read to show the importance of treating everyone with kindness. When you treat someone with kindness, it's like throwing a rock in the water and watching the ripples spread out. To review all the letters of DR. GIB, the students were divided into small groups and given one of the DR. GIB letters. Each group then presented a skit or taught the letter to the class making sure to include all the information for each letter. During this lesson we reiterated what to do if you feel you are being bullies here at Mason. This week and next, your child was presented with the "child Lures - Think first & stay Safe" lessons. You should have received a YELLOW sheet in your child's Friday Folder explaining what your child learned. The following Primary Concepts were discussed: You have a built in computer to help you stay safe. It is your brain. Most people are safe, but sometimes they can become scary. It is against the law for anyone to touch you in the Bathing Suit Zone. It is important to listen to your inner siren. Your instincts are like a warning system. Sometimes people may use threats or weapons to scare you into to doing what they want. It is important that you tell a trusted adult right away. Lures were also discussed. These are tricks that someone may use to "Hook" children. Children who learn and understand the key concepts are more likely to recognize when a lure is being used and may be able to take actions to stay safe.